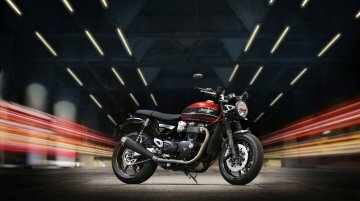 Triumph Motorcycles will expand its Indian product portfolio with the launch of the new Speed Twin on 24 April. 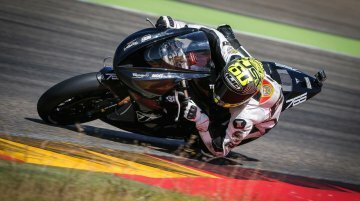 The new model brings the technology, power, and torque of the Thruxton R in a more.. 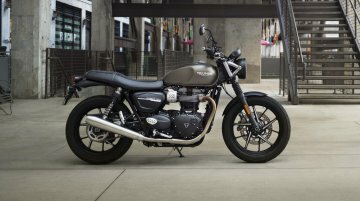 Triumph Motorcycles has recalled Street and Bonneville models across various markets due to clutch cable and wiring harness issue. 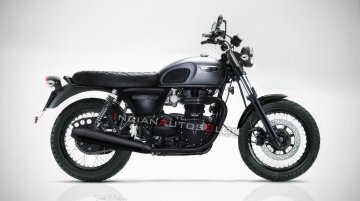 As many as 12,654 units of the Triumph Street and Bonneville range.. Triumph Motorcycles India has extended its Tiger 800 range with the launch of the XCa variant. 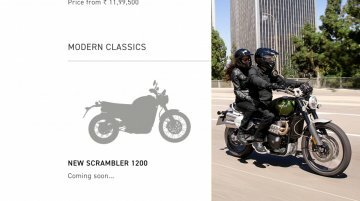 The range-topping Tiger 800 XCa has been launched at an ex-showroom Delhi price tag of INR 15,16,700, a.. 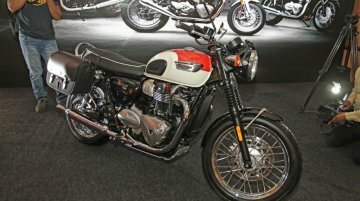 Triumph Motorcycles India has launched the new 2019 Street Twin and Street Scrambler at an ex-showroom Delhi price of INR 7.45 lakh and INR 8.55 lakh respectively. 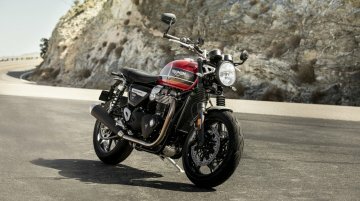 The new 2019 Triumph Street Twin is..
It’s no secret that Triumph Motorcycles is working on the Daytona 765 that will fill the void created in the British manufacturer’s portfolio after the departure of the Daytona 675 in 2017. The.. 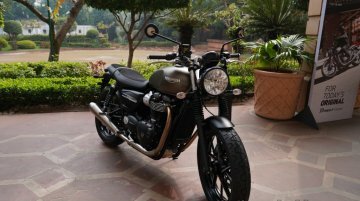 Triumph Motorcycles India is all set to launch the 2019 Triumph Street Twin and the Triumph Street Scrambler in India on February 14. 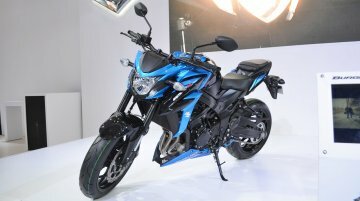 The company showcased the India-bound Speed Twin in December.. While Bajaj Auto and Triumph Motorcycles are yet to sign the final agreement, IAB's digital manipulator Shoeb R Kalania has created a rendering of the Triumph Bonneville Street 500, based on claims.. 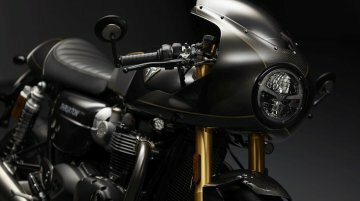 Triumph Motorcycles’ special division, the Triumph Factory Custom has delivered a limited edition and an ultra-premium variant of the Thruxton. 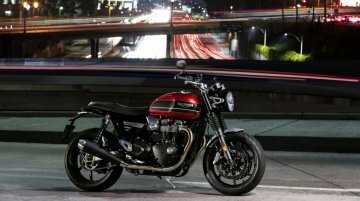 Christened as the Thruxton TFC, the motorcycle is a..
For 2019, the all-new 1200 cc Speed Twin reintroduces the Triumph brand to the company’s Modern Classics line-up. 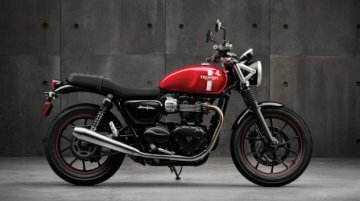 The 2019 Speed Twin carries all of the contemporary custom styling of the Street Twin.. 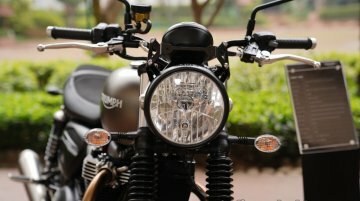 The talks between Bajaj and Triumph Motorcycles continue as we await more details about the products that would spawn from the partnership and the strategy. 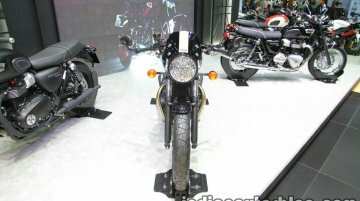 While an announcement is yet to be made,..
Bajaj Auto Managing Director, Rajiv Bajaj has confirmed that the company plans to finalize the terms of contract with Triumph Motorcycles in the next few weeks, according to a report from.. 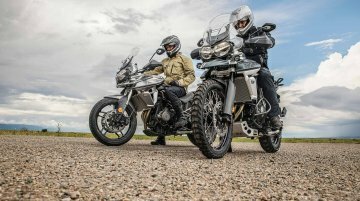 Adventure motorcycles are all the rage these days, and Triumph just updated its popular Tiger 800 for 2018. 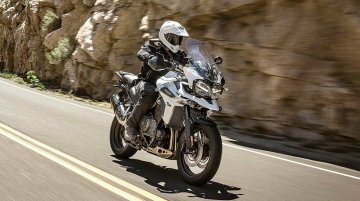 Let’s see how the 2018 Triumph Tiger 800 XCx matches up with the Honda Africa Twin DCT.